We are excited to announce that registration is now LIVE for the first Childcare Expo event of 2019. 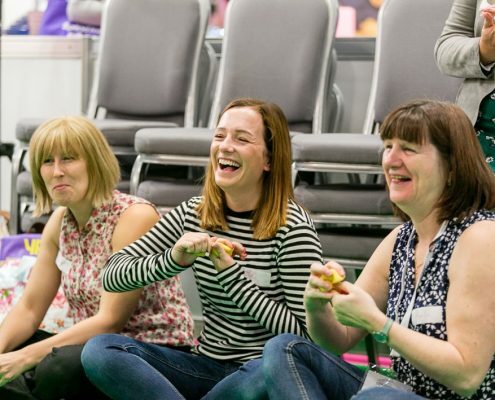 Returning to Olympia, Childcare Expo London will see thousands of practitioners from across the early years and primary education sectors come together for two days of inspirational workshops, live talks, and networking opportunities. Special guests confirmed for the London show include the UK’s number one children’s cookery author, Annabel Karmel, who will be opening the event on Friday 1st March before taking to the stage for a seminar about children’s nutrition. One of CBeebies’ most-loved founding presenters, Sid Sloane will also be coming along to entertain the crowds and will be hosting a workshop on Saturday 2nd March. More special guests will be announced in the run up to the event. 2019 marks ten years of events for Childcare Expo, making the exhibition the longest-running of its kind in the UK. To celebrate the milestone, each of the events across the country will host a range of fun activities and competitions for visitors to get involved in, as well as bringing new special guests, feature areas and exhibitors. Childcare Expo London, sponsored by leading insurers Morton Michel, gives practitioners the chance to discover innovative new resources from leading industry suppliers, attend educational seminars to credit their CPD, get creative new ideas with interactive workshops, benefit from exclusive show discounts, and have their questions answered by experts in the education sector. Seminar topics include Ofsted inspections, supporting literacy development, SEND, nature pedagogy and the future of EYFS. 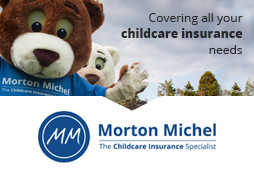 With so much planned and more still to come, the Childcare Expo London 2019 event is one not to be missed – click here to register for your FREE tickets today!